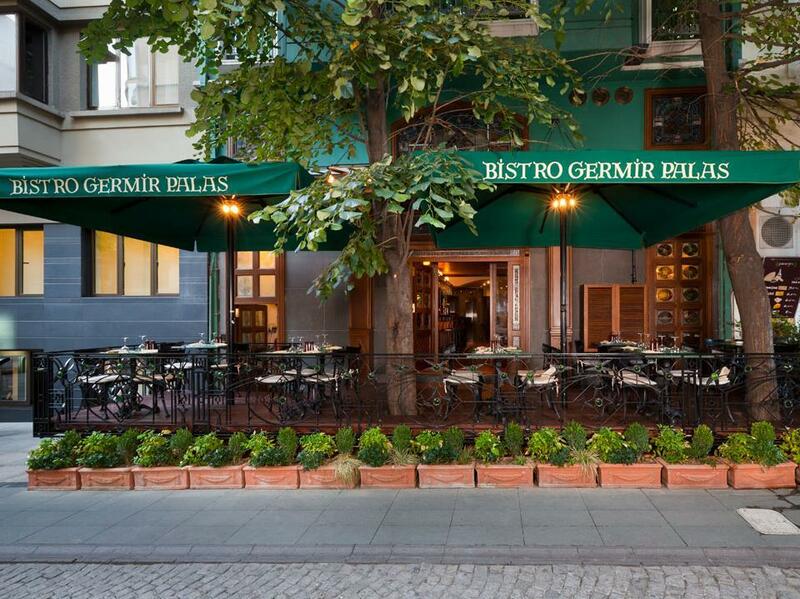 ﻿ Germir Palas Hotel Istanbul. JIMAT di Agoda.com! Ada soalan mengenai Germir Palas Hotel? Terletak di kawasan yang indah di Beyoglu, Germir Palas Hotel menikmati posisi megah di hab beli-belah, restoran di tengah-tengah Istanbul. Dari sini, tetamu boleh menikmati semua kemudahan yang bandar ini tawarkan. Pelawat yang datang ke hotel boleh melawat tarikan utama di bandar ini seperti: Konsulat Jeneral Malta, Taksim Sanat Galerisi, Konsulat Republik Kyrgyz. Germir Palas Hotel juga menawarkan banyak kemudahan untuk memperkayakan penginapan anda di Istanbul. Tetamu boleh menikmati kemudahan seperti khidmat bilik 24 jam, Wi-Fi percuma semua bilik, khidmat teksi, pengemasan harian, meja depan 24 jam. Germir Palas Hotel mengandungi 49 bilik yang dihias indah dan menawarkan televisyen skrin rata, bilik mandi tambahan, tandas tambahan, cermin, internet wayarles. Kemudahan rekreasi hotel, yang termasuk seperti pusat kecergasan, taman direka untuk anda melarikan diri dari masalah dan bersantai. Kemudahan yang hebat dan lokasi yang sangat baik membuatkan Germir Palas Hotel menjadi asas yang sempurna untuk menikmati penginapan anda di Istanbul. 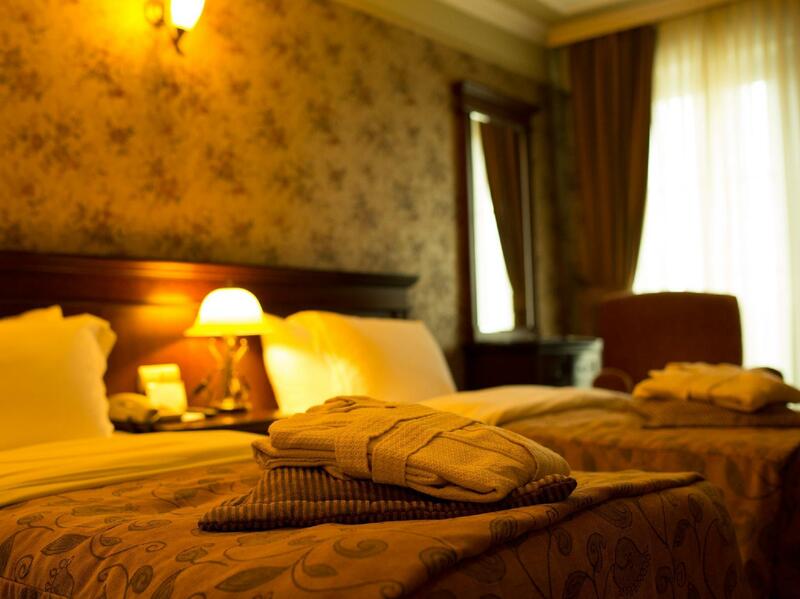 I have read reviews from other travelers who complain that the rooms are not well lit. 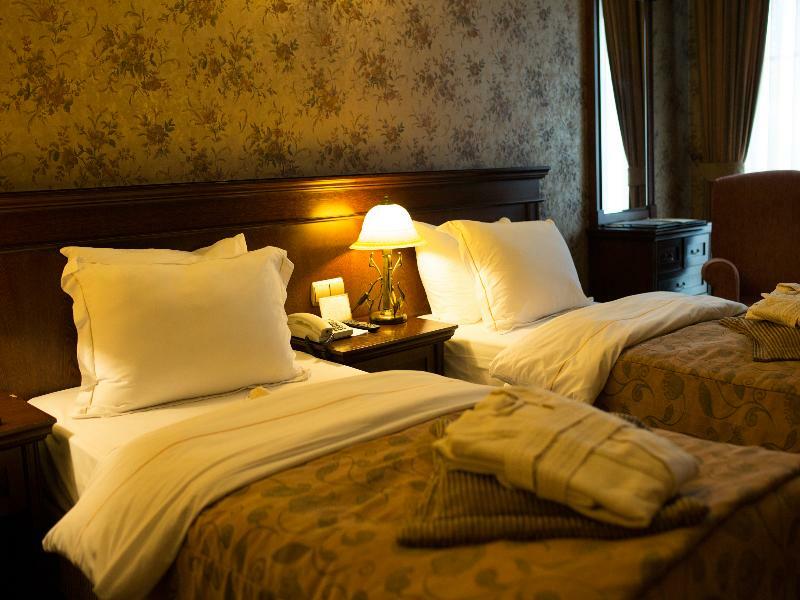 Let me let you in on something , the rooms are old world Victorian style with wall paper, dark wood furniture, lamps with ivory opaque glass which gives off a dull light. But this is what you are paying for. If you want modern go somewhere else, this is a classic style hotel. Bar area is classic wood , brass, and etched mirrors - very classy. 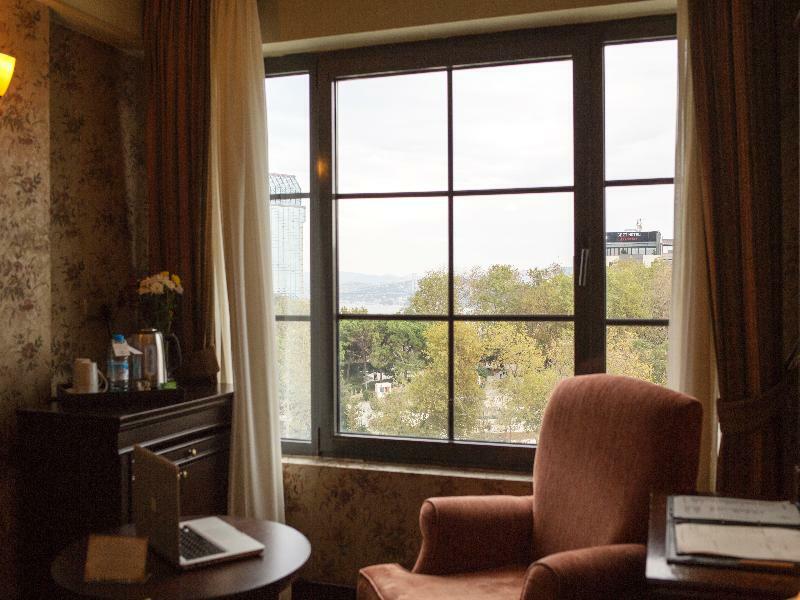 The location really can't be beat.1 minute to Taksim square , 4 minutes to the airport bus, 4 minutes to the metro o kabatas. Enjoy and are travels. The location is good b/c its near the train station. however there are other perfect locations in TagsIm area WITH BETTER PRICE. 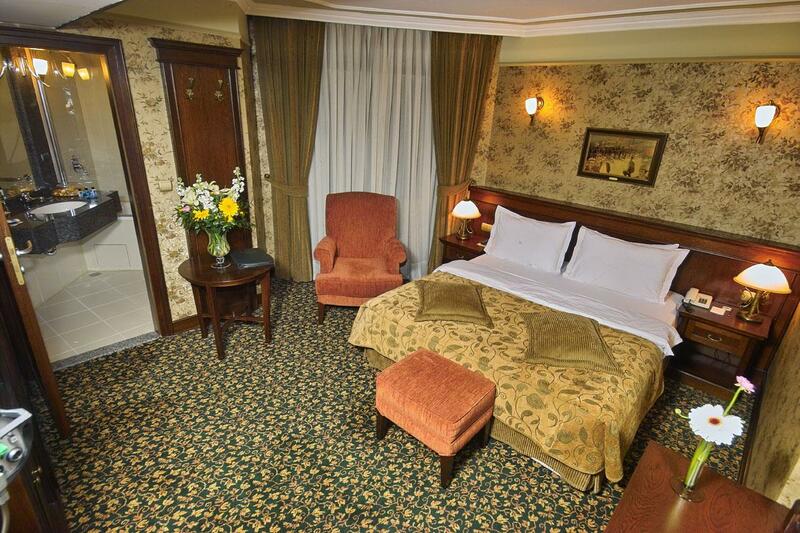 The rooms of Germir Palas hotel are kinda disappointment comparing to the pictures of the property. 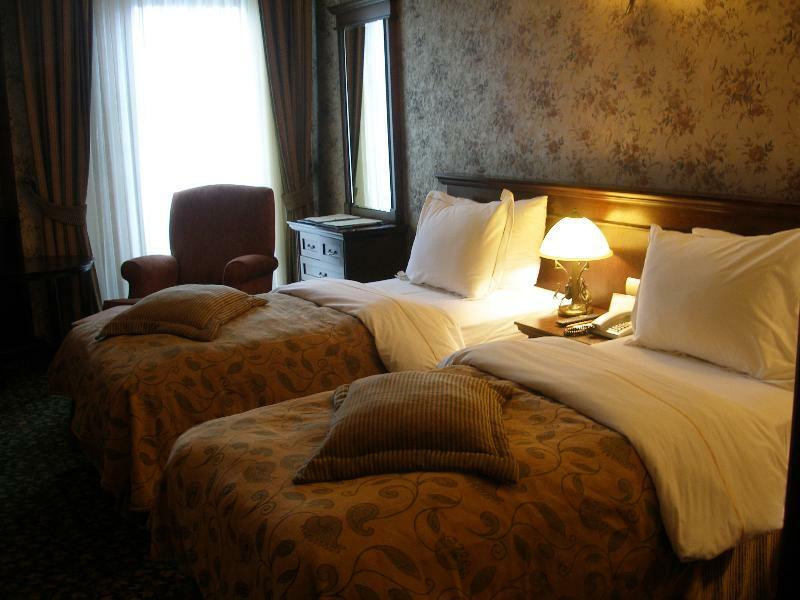 The location of the hotel is the best part as its 2 mins walk to Taksim square, Istiqlal Street, and airport shuttle. Staff was friendly and they offered us great service by extending our wifi access till 10 pm after we checked out from the hotel. The only disappointment was room size as they were small and bit tidy. 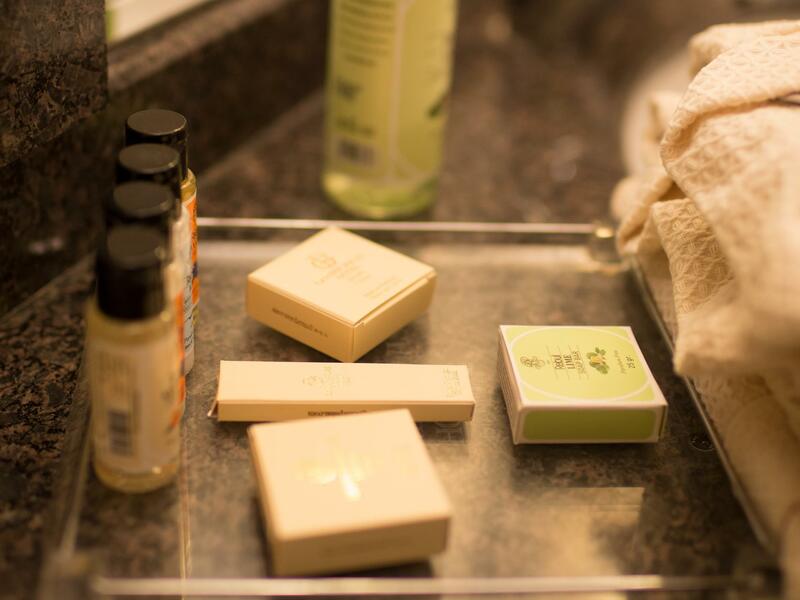 The hotel has zero luxury, it's usful for sleep and leave. His location is super perfect with reasonable price. The staff were so kind and flexible, a great hotel comparing with the location and price , don't hesitate to book at it ! Great, this will be my top choice in the future. although the hotel is small like a boutique hotel but the stuff were so nice and welcoming , the room might be small and need some renewing for the furniture but the service was good especially for the bathroom which was clean as everything was replaced daily (towels ,shampoos...) the house keeping should pay a little concern to the dust on the drawers ect... the buffet breakfast was good and reasonable for the price . 호텔에서 옷을 잃어버려, 연락했더니 찾아놓았으니 안심하고 출국전 들려달라고 하여 호텔 찾아갔더니 자신은 모르는 일이라고 모른척함. 사람 뒤통수 치는 호텔 프런트와 직원들. 불친절한 응대 및 영어도 하지 못하는 직원들. 냄새나는 화장실 그리고 침구에서 이상한 벌레까지 발견. 위치빼고는 모두 최악입니다. 차라리 근처에 있는 니폰호텔이나 다른 호텔 이용하세요. 잠만 잘꺼라 만원 아끼려다 옷도 잃어버리고, 기분만 상하는 이상한 호텔입니다.